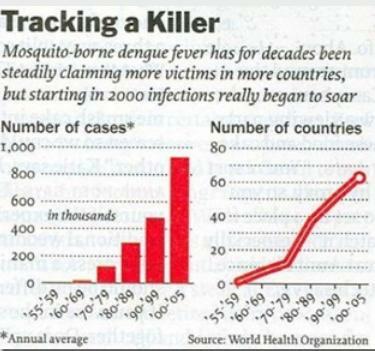 After a `golden era' during the middle of the 20th century - when intensive mosquito control efforts all but eliminated the scourge of Dengue, Malaria and Yellow Fever in the Americas - mosquito borne diseases have been on the come back trail. Dengue has exploded across the Caribbean, and Latin America, with its spectacular growth since the 1970s foreshadowing the arrival and spread of new diseases like Chikungunya and Zika. Part of this resurgence is due to cut backs in mosquito control efforts over the years, but increased insecticide resistance (see WHO document Insecticide resistance already widespread), larger urban populations, and climatic changes have helped to exacerbate the problem. The $64 question being, if we haven't controlled Dengue, how can we stop Zika? Today the WHO published an assessment on our ability to beat back this mosquito-borne threat and warns that this time it will take a combination of the old techniques, along with new tools (GM mosquitoes, Wolbachia, etc. ), if we are to prevail. Aedes aegypti, the principal mosquito species that transmits the Zika, dengue, and chikungunya viruses, has a number of breeding and behavioural quirks that make it extremely difficult to control.This article looks at conventional and new techniques for control and summarizes WHO guidance. WHO has issued advice on mosquito control as part of the response to Zika virus disease. As noted, well-implemented mosquito control can effectively reduce the transmission of mosquito-borne viruses, including Zika. However, mosquito control is complex, costly, and blunted by the spread of insecticide resistance. Few developing countries outside sub-Saharan Africa have dedicated well-funded programmes for mosquito control. Moreover, some control measures are not readily accepted by the public. A promising biological method of control uses male mosquitoes carrying the naturally occurring Wolbachia bacteria, which are found in 60% of common insects, including butterflies and fruit flies. These bacteria do not infect humans or other mammals. When females mate with males carrying the bacteria, the eggs do not hatch, thus suppressing mosquito populations. Another strain of Wolbachia under investigation establishes the bacteria in the mosquito population and reduces the mosquitoes’ ability to transmit dengue. The mosquitoes are not genetically modified as the technique involves no tampering with or modifications of genes. 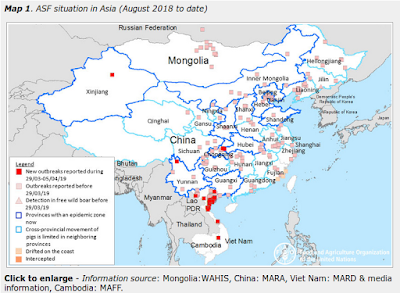 Mosquitoes carrying Wolbachia bacteria have been released in several places, including Australia, Brazil, Indonesia, and Viet Nam as part of control strategies for dengue. Large-scale field trials of Wolbachia bacteria will be initiated soon. Given the magnitude of the Zika crisis, WHO encourages affected countries and their partners to boost the use of both old and new approaches to mosquito control as the most immediate line of defence.